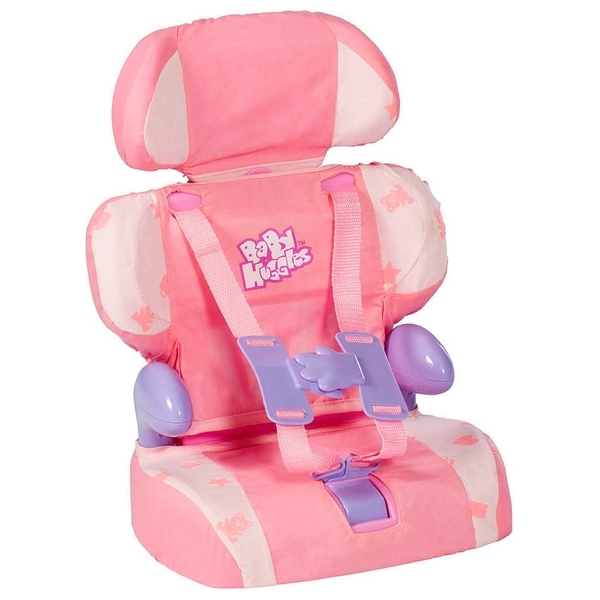 Baby Huggles Car Booster Seat allows you to bring your doll everywhere with you! Your doll is kept perfectly safe and secure by a 3 part harness with hand shaped buckles that secure to the cars seat belts. This uniquely styled toy booster seat can promote car safety and will quickly become the toy that never leaves your child’s side. Dolls deserve it! Suitable for doll sizes up to 46cm (Doll not included).